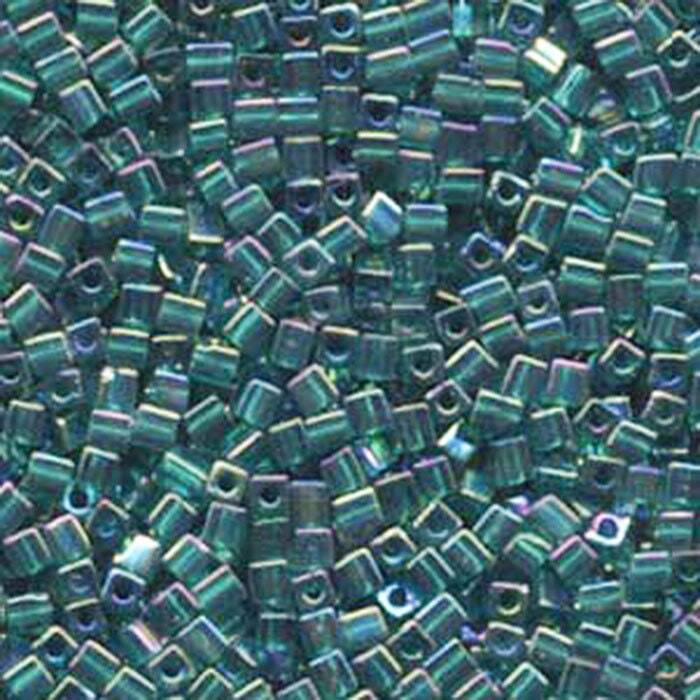 Transparent Teal AB Miyuki 3mm cube beads. Pretty and as depicted. Super fast shipping and awesome seller.